Miracle Grow is a subsidiary company of the Scotts Corporation. You can purchase Scotts Miracle Grow potting soil at many plant nurseries, greenhouses and large-chain commercial garden centers. The Miracle Grow Company produces plant food, soil additives, lawn care products, fertilizer and potting soil. Miracle Grow manufactures general potting soil products as well as peat moss, loam additives and potting soils made for specific plant types. Miracle Grow specialty potting mixes are created for growing exotic potted plants. Because each potted exotic plant has different growing requirements, the in-container potting mixes vary in soil composition. Each potting mix may contain a blend of loam, aggregates and fertilizer. Miracle Grow Cactus, Palm and Citrus Soil potting mix has a larger ratio of aggregates to promote fast drainage for plants that cannot tolerate standing water. It also contains specific fertilizers that are balanced for slow-growing plants. By contrast, African violet potting mix contains a higher balance of peat moss for a more acidic pH that African Violets thrive in. Miracle Grow general potting soil contains a balanced formula of perlite, peat moss and Scotts fertilizer for use in most container plants including summer annuals, hanging baskets and house plants. 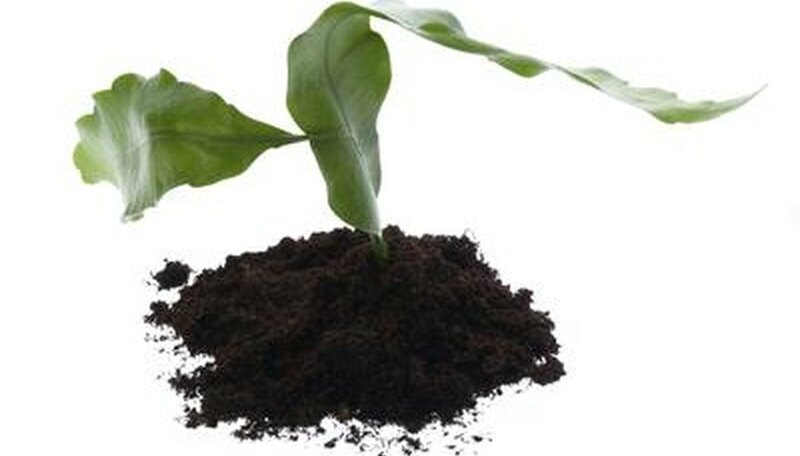 According to the Miracle Grow website, the fertilizer in the potting soil will feed plants for up to 6 months. Perlite and peat moss in the soil help to prevent compaction around plant roots and promote drainage. One of the primary reasons that plants in containers die is through over or under watering. Moisture control potting mix contains absorbent materials that help to hold water in the soil without promoting root rot. According to the Miracle Grow website, the potting mix can hold up to 33 percent more water than ordinary potting soils. Over time this water is gradually released from the soil. Plants potted in moisture control potting mix do not need water as often as plants placed in other potting soils. In-ground soils are soil amendments that you can add to your garden or raised bed to improve the structure of the soil. These amendment bags also contain fertilizer that is formulated to feed specific plants. Miracle Grow manufactures garden soils that are formulated for trees and shrubs, roses and vegetables. They also manufacture in-ground soil amendments to help boost soil’s moisture-absorbent properties and an organic amendment for organic gardens.